Maybe you've successfully uploaded the same app before. 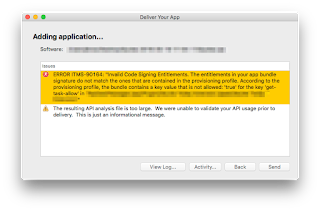 Maybe git proves that nothing has changed with your entitlements, code signing, or the provisioning profile you're using. You're probably frustrated. 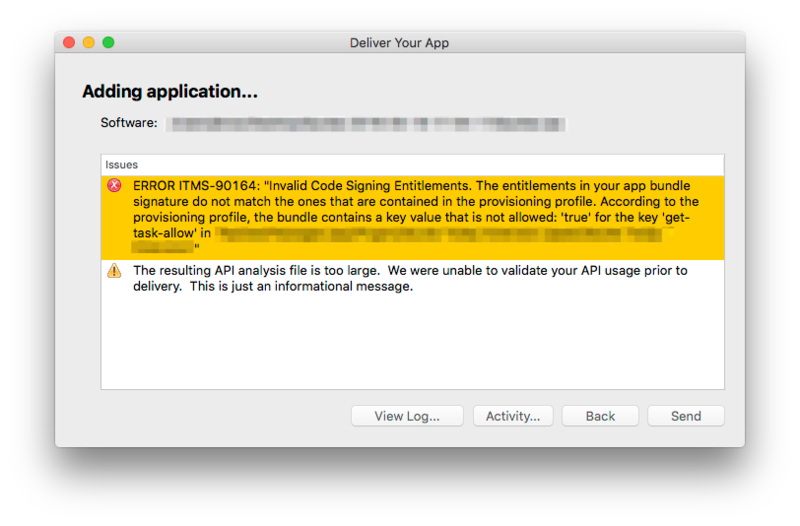 Somehow the Code Signing Identity for Release had switched to development. You can find this in the Build Settings for each target. In the project file. Make the settings look like the above screenshot and you should be set.